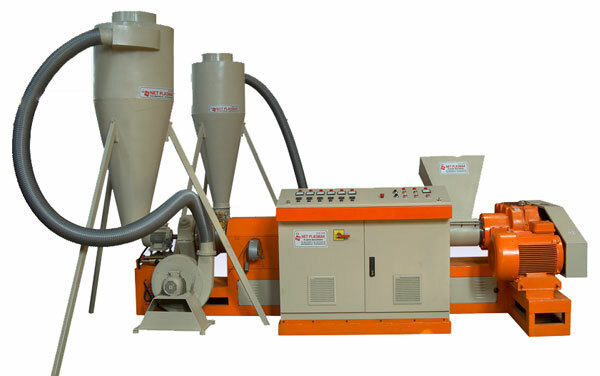 Conical granule extruders are used for recycling polyethylene film and similar materials. 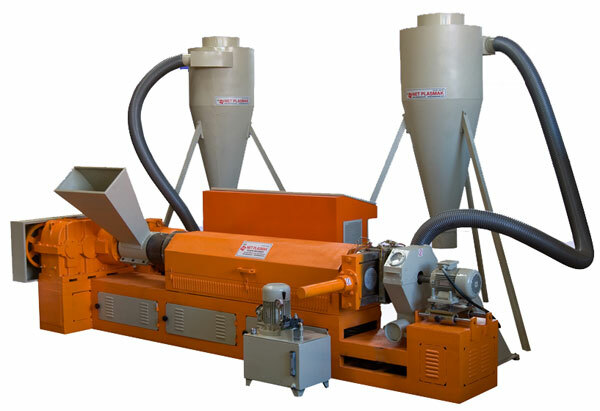 Because of it’s screw shape, this extruders can be used for recycling plastics directly without preprocessing such as crushing or agglomeration. Loose materials such as shopping bag clippings can be recycled and transformed into pellets by using conical granule extruders. It is very cost effective way for polyethylene or polypropylene film manufacturers to recycle their own waste and use it again for manufacturing. Plastic material is melted by extrusion and filtered using melt filter. Our conical granule extruders use air cooling system which cool down output pellets by using double blower and double silos. So it is very simple and efficient way of recycling bulk plastic material particularly manufacturer's own waste. Molten plastic pass through filter unit and foreign matters are removed from plastic. Filter units are produced as dual side plates and a hydraulic piston changes filter plates quickly without interrupting material flow. We produce filter units in different diameters depending on extruder capacity. Output material of the granule extruder can be converted into granules by die face cutting unit. In the die face cutting unit, molten plastic is cut immediately when it come out from die. Cut granules are cooled by air.